Turkey is changing fast. And it's modernizing fast. For a recent vacation, I hit the road in Turkey, with romantic memories (a few years old) of horse-drawn carriages and villages with economies powered by hay, dung, and ducks. While that rustic old world is tougher to find, the deep traditions and warm hospitality of the region are as endearing as ever, especially if you venture past the predictable sights and tourist zones. Turkey has a sparse and frustrating train system, but flights are cheap and competitive bus companies provide easy, comfy, and inexpensive connections throughout the land. At the crossroads of Europe and Asia, Turkey is looking West and getting there. It is a vast land, bigger than Texas and with a population of 60 million. Only half of Turkey's 42,000 villages had electricity in 1980. Now they all do. Does modernization threaten the beautiful things that make Turkish culture so appealing? An old village woman assured me, "We can survive TV and tourism because we have strong cultural roots." The Turkish way of life is painted onto this land with indelible cultural ink. I followed my wanderlust to one of my favorite destinations in Turkey, the village of Güzelyurt in Cappadocia. Families here go about daily life as they have for generations. I walk down streets that residents from 3,000 years ago might recognize, past homes carved into rock, enjoying friendly greetings of "Merhaba." Time is not money here. It's the perfect place to slow down and experience a true "back door" experience: playing backgammon in a smoky teahouse, downing cup after cup of tea. With the help of a guide, I enjoy a home visit, the perfect two-way cultural exchange. A village woman serves me a simple, home-cooked lunch. Then, with the guide as translator, I get to really connect with my host. This is the best way to gain an insight into her world and village life in Turkey. Cappadocia is rightly famous for its fantastic land formations and labyrinthine cave dwellings going back to early Christian days. And it's also famous for a breathtaking way to survey this exotic landscape: by riding a hot-air balloon. I enjoyed a dreamy early-morning glide over a scenic wonderland. Each morning, 50 to 80 balloons lift off, giving lots of travelers a fine memory and stunning pictures. Ancient ruins litter the Turkish countryside, reminding visitors that the more archaeologists dig, the more they realize that Anatolia (Asian Turkey), along with Mesopotamia, is a birthplace of civilization. And travelers often forget that 2,000 years ago the west coast of Turkey was the heartland of ancient Greece — a region called Ionia. A relatively new excavation at Aphrodisias has uncovered an ancient city dedicated to Aphrodite, Greek goddess of love and beauty. There are ruins at Troy, mythical site of Homer's Iliad, and Pergamum, with its beautifully sited theater and Temple of Trajan. At the impressive ruins of Hierapolis, you can walk through a vast and fascinating necropolis — city of the dead — where tombs line a network of roads, and then take a quick dip in a natural thermal pool amid chunks of Roman columns. But for me, the show-stopper is Ephesus. 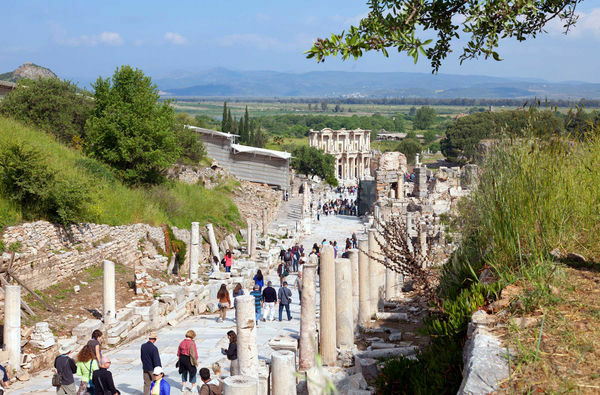 One of the biggest cities of the Roman Empire, Ephesus had a population of 250,000 and was a thriving seaport until its harbor silted up (it now lies five miles inland from the Aegean coast). It's famous for its once-spectacular, now-ruined Temple of Artemis — one of the Seven Wonders of the Ancient World — and the dramatic, partially restored Library of Celsus, one of the largest libraries of its time. A walking tour of the still-paved streets is the best way to peel back the layers of dust to understand the everyday lifestyles of the rich and Roman. As I strolled down the broad main drag, I just replaced my fellow tourists with toga-clad ancients to easily imagine the long-ago city, with its statues, bubbling fountains, arches, and shops. When I've had enough of blockbuster antiquities, I head for the coast. 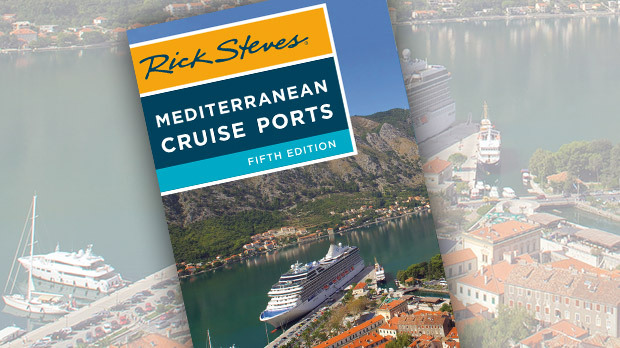 What better way to take a "vacation from vacation" than by sailing on the Turkish Riviera? Along Turkey's southwest coast, beautiful wooden boats (called gulets) cruise the azure waters, exploring coves and inlets. I capped off my trip with a day-cruise from the resort town of Bodrum, swimming and lazing while admiring striking views of jewel-like Aegean islands. Turkey is so rewarding as a destination because it gets me out of my comfort zone and challenges my norms. 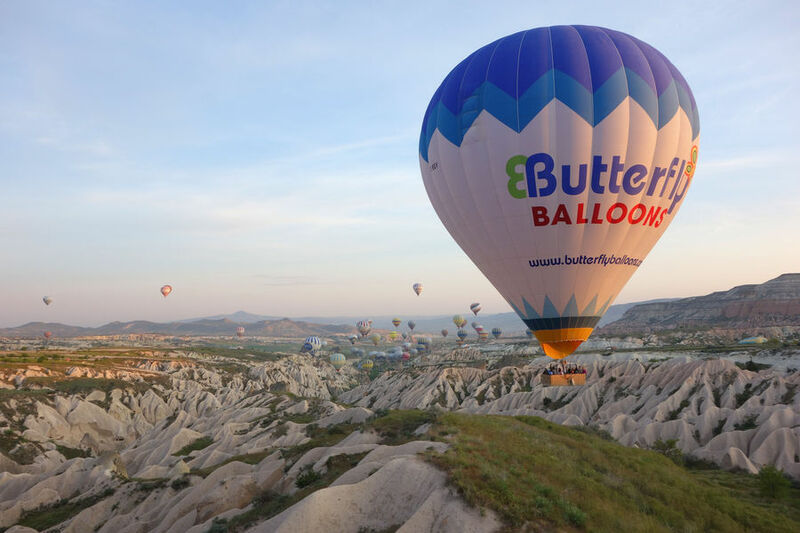 Experiencing the friendly charm of Turkey, I am like that balloon lifting off the wild Cappadocian field — free, at least for a while, from the bonds of my culture and ready to experience the world from a different perspective.